Top quality workmanship, straight answers and fair pricing have made us the leader in granite and tile installation in Park City, Deer Valley and Summit County for 20 years. We specialize in the installation of granite and tile into homes in the Park City and Deer Valley areas. 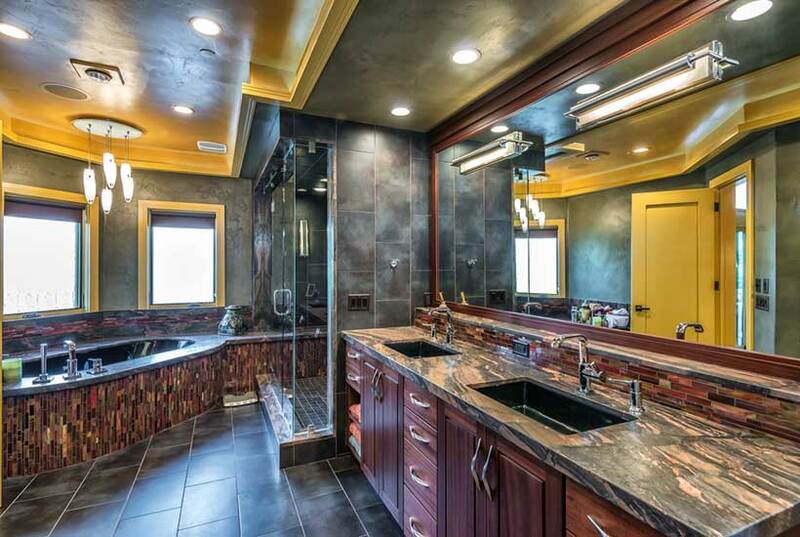 As a licensed Utah General Contractor we can handle all aspects of your remodel from start to finish. Want to keep all aspects of the work flowing smoothly? With 20 years experience in Summit County we can handle all building and cabinetry to go with your new granite or tile design. Wonder what it will all cost? Have a few questions? Want ideas to save some money? A good granite and tile contractor knows the ways to save their client money and come in on budget. We will be happy to discuss your project with you and give you straight, real life answers. Custom granite and tile installation shouldn't be difficult. Let us help make it easy and enjoyable. We can provide you with a wide range of services ranging from custom stonework and granite countertops to tile installation, new cabinets or a complete remodel.